Baking soda is one of the most versatile items in your home and is used in many home remedies. If you look at the ingredients on your favorite toothpaste, you will notice that baking soda has now expanded to teeth-whitening products. If you are wondering does baking soda whiten your teeth, keep in mind that it can easily remove surface stains, but it would also damage the enamel if you aren’t careful. The answer is yes! But you should take precautions when doing this. Let’s first learn a bit about its chemical formula. Baking soda, or sodium bicarbonate, is made by taking a sodium bicarbonate solution and bubbling carbon dioxide through it. This process creates baking soda crystals which are crystalline mineral salts. You can then filter the salts out of the solution, drying and milling them to a specific size. The chemical makeup of baking soda makes it a weak base which can react with either bases or acids. It is also a mild abrasive, which lets it remove surface stains from teeth. Baking soda is also able to penetrate deeply into grooves on the teeth and other hard-to-reach places because the crystals dissolve very easily in water. This makes baking soda more effective than other abrasives. Baking soda crystals also tend to be softer than dentine and enamel, which technically enable you to scrub away stains on the teeth without damaging the surfaces. This leads to a brighter smile. Although baking soda is helpful at whitening your teeth, it is also slightly abrasive to the enamel. This means that if you use the method repeatedly, it may weaken your enamel. When the enamel erodes, the teeth become more sensitive and have a higher risk of developing cavities. Avoid this as the damage cannot be reversed and may get worse. Never brush using baking soda if you have permanent retainers or braces. The baking soda can lead to these oral devices falling out or leaving darker spots as they react with the solution. To take advantage of the teeth-whitening properties of baking soda, mix half of a teaspoon of the substance with several drops of water in a small cup. The mixture should turn into a paste if you combined the right quantities. Apply the paste with your fingers or a toothbrush. In the case of bad stains, apply the paste right on it, leaving it for two minutes before rinsing it off. An alternative is to take a wet toothbrush and dip it in baking soda, but keep in mind that the taste will be very strong. In addition to using the baking soda paste, you should also brush your teeth properly. Otherwise, the answer to “does baking soda whiten your teeth?” will be no. Proper brushing involves using a soft toothbrush with gentle pressure. Put your toothbrush at an angle of 45 degrees with your gum line, using circular small motions. Then you can roll your toothbrush towards your tooth’s chewing surface where you use a back and forth motion. Despite the positive answer to does baking soda whiten your teeth, the American Dental Association suggests relying on more than just this substance to keep your teeth healthy. That is because baking soda is just an abrasive that removes surface stains and debris. It doesn’t fight plaque, the substance that can lead to tooth decay and gum disease. The ADA suggests that you also use fluoride within your oral care routine as this common toothpaste ingredient strengthens enamel and fights plaque. If you see a dark spot on one of your teeth, it may be a stain that you can remove with baking soda. It may, on the other hand, be something more serious like a cavity, in which case baking soda can’t resolve the issue. In addition to baking soda, there are also several other natural remedies that you can use to help whiten your teeth without resorting to harsh chemicals or expensive treatments. 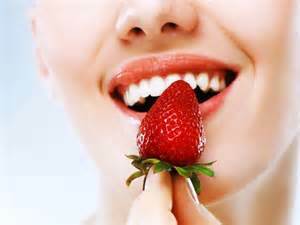 Strawberries can whiten your teeth because of their citric acid. This acid weakens surface hardness on your teeth. At the same time, strawberries have malic acid, which is gentle. As a strawberry gets riper, there will be a higher concentration of gentle malic acid compared to the potentially harmful citric acid. Although the malic acid doesn’t break down the molecules of the surface stain, it cleans the surface and whitens the appearance of your teeth. How to use: To use this method, take a ripe strawberry and mash it up. Then simply use your toothbrush to apply it to your teeth. This should take around two weeks to show results. Bananas contain manganese, potassium, and magnesium in high levels and this combination allows it to remove stains from your teeth. 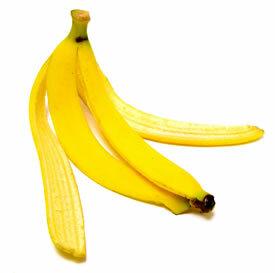 The skin of the banana also works as a gentle exfoliator, removing certain surface stains. Keep in mind, however, that banana peels can’t reach within the pores along the enamel’s surface, meaning it won’t deep clean. How to use: If you want to use banana peels to help whiten your teeth, take a section of the inside of the peel and rub it on your teeth for around two minutes. You will have to repeat the process for about three weeks, but at that point, your teeth should be whiter. 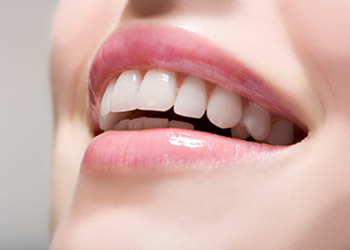 Can You Use Lemon Juice and Baking Soda to Whiten Teeth? Will Thrush Go Away on Its Own?